When Skeeter Bronson is asked to watch his sister's kids for a week, the crazy fun adventures tart when some of the silly bedtime stories that are he and the kids tell at night, actually end up coming true! 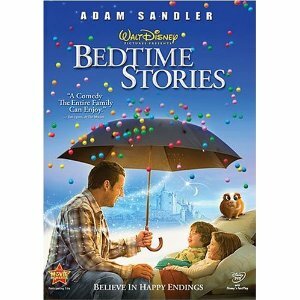 Happy endings are waiting to be yours with another great Family Movie Night Activity featuring Bedtime Stories! * When Skeeter lets the kids try hamburgers for the first time, they really like them. Cook up some burgers for your family to enjoy during the show. * Gumballs are a classic part of this show! Have gumballs for everyone, make round sugar cookies with bright icing so they just look like gumballs or dish up some bubble gum ice cream! * One night Skeeter and the kids roast marshmallows and have s'mores. Make s'mores over your stove, in your microwave or just have marshmallows, chocolate and graham crackers to nibble on throughout the movie. * When Skeeter meets Bugsy, the pet guinea pig, he notices his HUGE eyes. Pause on a close up of the guinea pig's face and have a "Big Eye Contest" to see who can make their eyes look the biggest. * On s'mores night, everyone camps outside with sleeping bags. 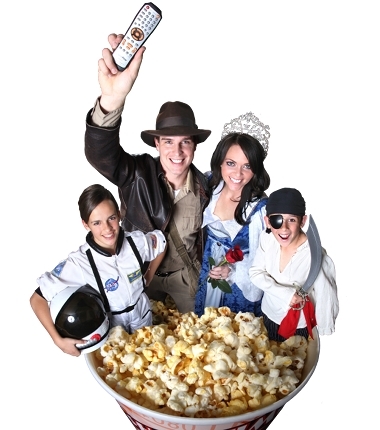 Stop the movie while you grab your sleeping bags and blankets, then watch the rest of the movie all snuggled up! * When Skeeter runs into some girls from high school they start doing the hokey pokey. Break out your best dance moves and hokey pokey along with them. * There's a scene where the kids pretend to shave. Have your own 'shaving cream' moment by dishing up some ice cream, draw a syrup face on it and let your kids decorate the face with whipped cream complete with hair, mustache and beard! * Near the end of the show Skeeter's tongue gets stung by a bee. Play "Tongue Tied" by writing down some movie quotes then take turns reading them while holding your tongue. Try to guess what each of you are saying! Enjoy Bedtime Stories with your family and remember "Your fun is only limited by your imagination"! 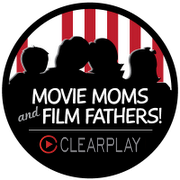 We Movie Moms agree completely!